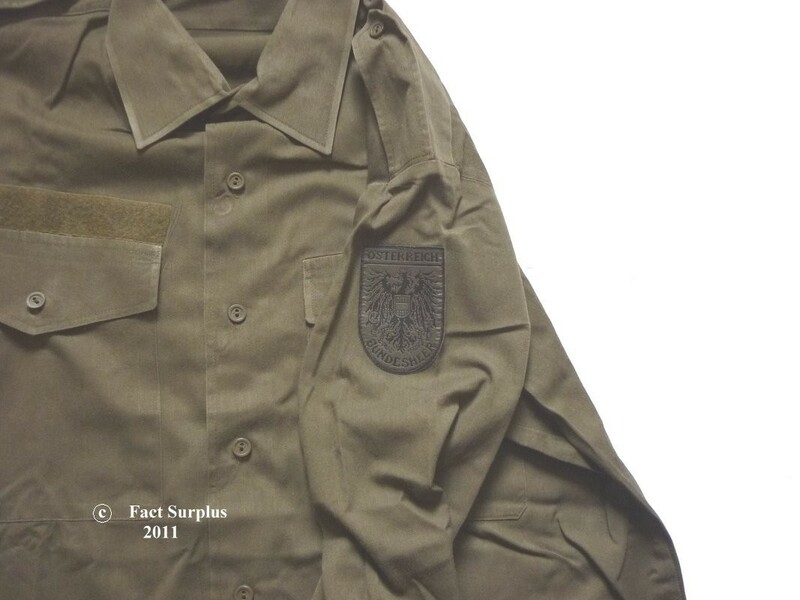 Austrian Army combat shirt. 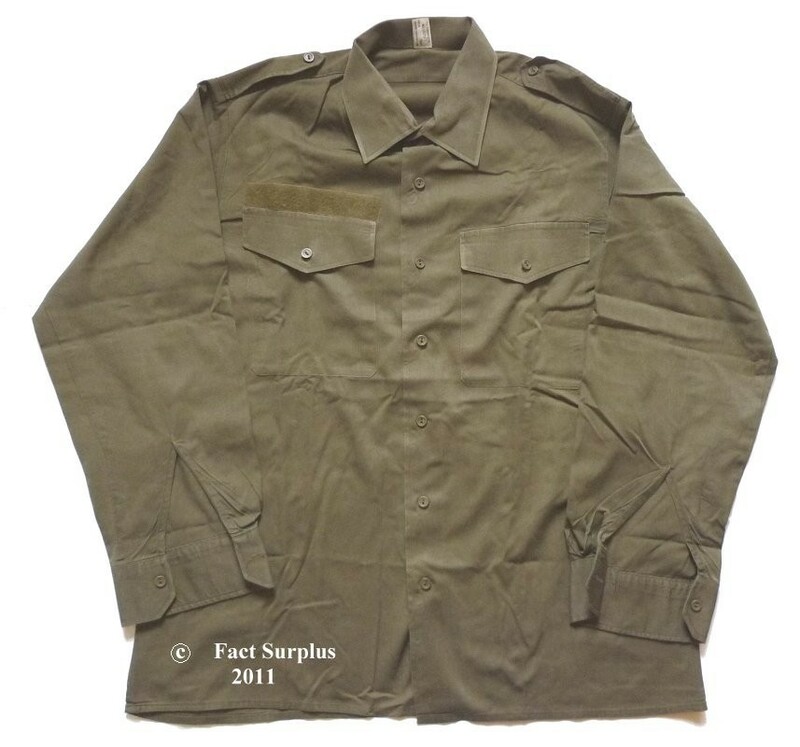 Olive green poly-cotton. Button fastening at front and cuffs. 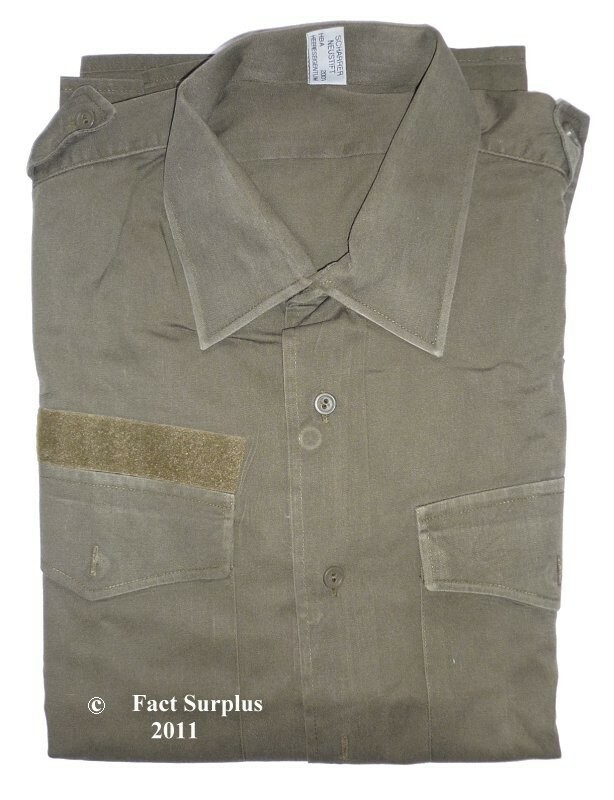 Epaulettes, Austrian badge on left sleeve, 2 chest pockets. 36" chest. Small. Aust. size 37. Measures 42" around chest. 38" chest. Medium. Aust. size 39. Measures 44" around chest. 40" chest. Medium. Aust. size 41. Measures 46" around chest. 42" chest. Large. Aust. size 43. Measures 48" around chest. 44" chest. XLarge. Aust. size 45. Measures 50" around chest.